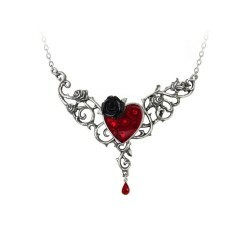 Passion exudes as the Swarovski crystals sparkle just beneath the surface of the clear, blood red enamel. 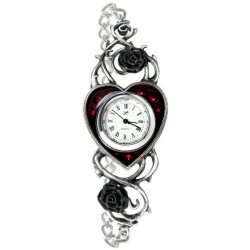 A discreet sparkling piece for the romantic at heart. 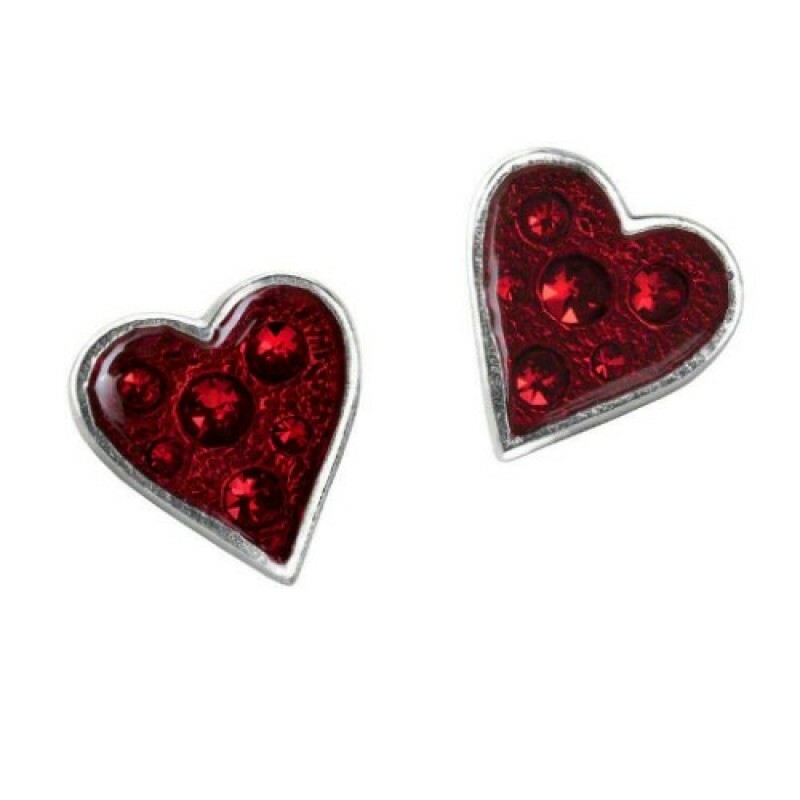 A pair of clear red enameled pewter heart studs with Swarovski crystals set just beneath the surface. Approximate Dimensions: Width 0.51" x Height 0.59" x Depth 0.59" Materials:Fine English Pewter with embedded Swarovski Crystal under enamel. Surgical Steel Ear Posts. 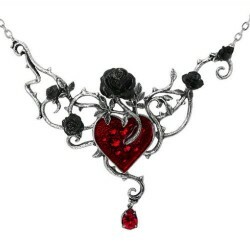 The heart is the seedbed of tangled emotions and condemned romance, as black roses flourish in ..